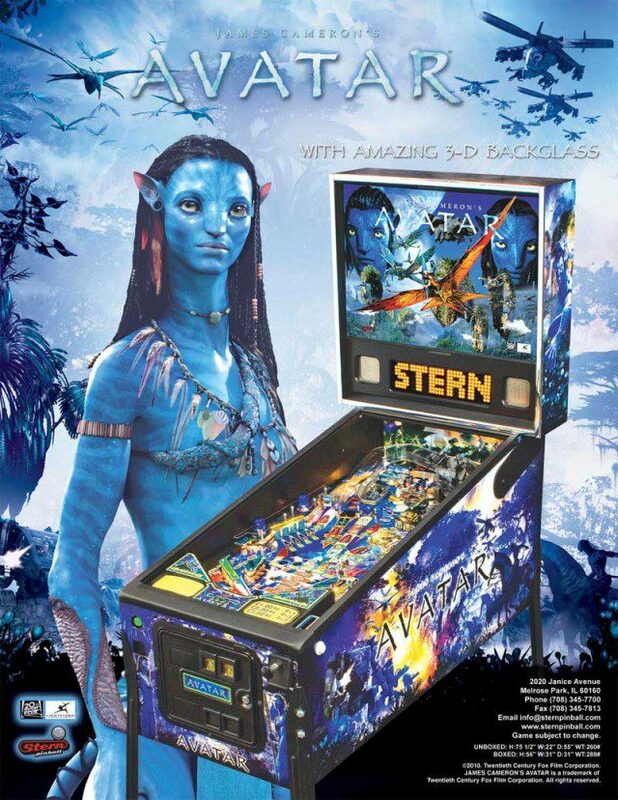 Whether you’re a pinball collector or a fan of James Cameron’s epic blockbuster Avatar, this Limited Edition Avatar Pinball surely has to rank up there as one cool piece to own. The Limited Edition will feature enhanced game play and superior mechanical features. The Avatar special edition pinball machine brings players to the paradise planet of Pandora where they become hero Jake Sully on a quest to protect the Na’vi people from an invading mining colony. Staying true to the innovative nature of the film, this pinball machine translates James Cameron’s history making epic into a one-of-a-kind gaming experience. Stern Pinball is only producing 250 machines for this limited edition run that will each be numbered with a plaque and a certificate of authenticity. In the game you play Jake Sully. Your mission is to get into your Na’vi avatar by capturing the pinball in the transporter link (which reveals a Jake Sully figurine). You must then escape the Thanator, fight the Viper Wolves, ride the great Leonoptyrix, travel through the Hallelujah mountains, and do battle with the RDA in the bumpers, before facing Colonel Miles Quaritch in his mechanical AMP Suit. If you destroy the Colonel before he destroys you, you get to access 4-ball multi-ball. Then you can score jackpots and save the Na’vi people from total destruction. Pure awesome pinball action!